You might not have realized it, but lighting makes a whole lot of difference to our mood, functionality and our efficiency and performance. 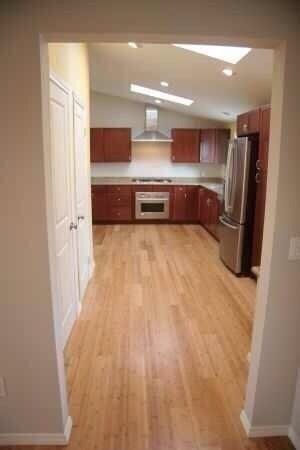 Imagine how much of a difference lighting can make to your kitchen, the place where we prepare our food. Lighting has so much to do with our kitchens because we should be able to ‘see’ clearly what we are washing, cutting, chopping and cooking, to prevent any impurity from entering the food, to keep every inch spotlessly clean, and also to save ourselves from getting hurt by the cutting tools and heated pots and pans; plus, we should feel pleasant. 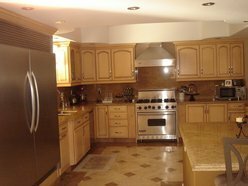 All these objectives can be achieved by proper lighting and so, it should be on the priority list in a kitchen remodeling project. Do you know that you can create layers of light? Yes, in a space like a kitchen, where you perform multiple activities, layering of light is of immense importance. There are four types of light layering, that your kitchen can have. Task lighting: As the name suggests, this layer of light illuminates your workspaces like countertops or inside a pantry. Accent lighting: Accent layer lighting offers dimensions and depth to the kitchen environment; e.g. track lights and adjustable recessed fixtures. Ambient lighting: This is a real mood-creator; it’s a soft layer of light, which fills the space and reflects from the ceiling. It can be achieved through opaque wall sconces, pendant-hung fixtures and torchers. Decorative lighting: Decorative layering of lights can make your guests hold their breath in awe, if chosen wisely. An interesting fact is that, none of these layers can work alone. For example, if you think that ambient light is very nice and so, you create only that layer, your visual interest will end because of no dimension or depth. If you incorporate only the accent lights, your kitchen will look more like a museum, where the objects will shine, but you and others will stand in the dark. On the other hand, if you choose to have only decorative lighting, it won’t help you in performing your tasks. However, you need not be daunted with the layered lighting concept as, many a times, fixtures serve multiple purposes. Thus, pendant lights in the kitchen can throw light up towards the ceiling and gives ambient light as well. Today’s open floor plan asks for lighting up the areas adjacent to kitchen from the kitchen lighting. So, how do the kitchen fixtures relate to these areas you can see from the kitchen? The fact is you can relate it, but it need not match. Thus, if the fixtures in other rooms are brass, choose brass in the kitchen. So, you can relate them to each other and see the open space all together. You can apply creativity and create the lighting layers. For example, instead of the dinky pendants on the island, you can use only one statement pendant or two large pendants. Similarly, instead of opaque fixtures, you can use fixtures having a lens at the bottom, which hides the bulb and provides a glow at the same time. You can also use different shapes of fixtures rather than the traditional oval design for an added charm. 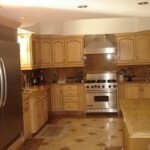 Get innovative kitchen remodeling ideas at SWHomeRemodeling.com, a Los Angeles remodeling contractor, who offers various remodeling services like kitchen remodeling, flooring, bathroom remodeling, painting, roofing, patio enclosures and more. Pictures in this article are their courtesy.